Twenty years after South Africa’s first democratic election, the nation’s politics are more fractious than ever before. 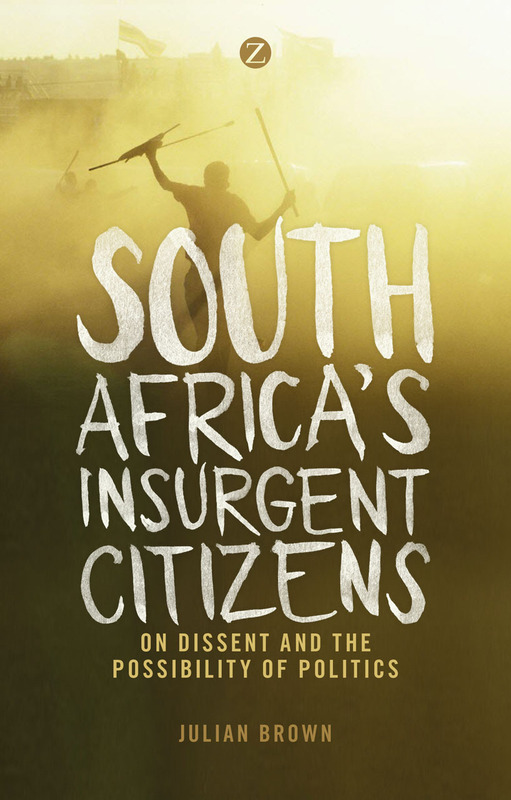 The lofty dreams of the early days of the post-apartheid era have dissolved into cynicism in the face of incessant police violence, the quashing of dissent, and the spread of corruption. To many South Africans today, politics is a failed enterprise, the preserve only of the corrupt, the self-interested, the incompetent, and the violent. With this book, Julian Brown mounts a powerful, polemic argument against that sort of despair. Politics is alive and well in South Africa—if you know where to look. Brown reveals a new kind of politics, in the streets and the courtrooms, a politics created by a new kind of citizen, one that is neither respectful nor passive, but insurgent. South African politics, Brown argues, may be fractured—but it’s in those very cracks that a powerful new movement is beginning to grow.